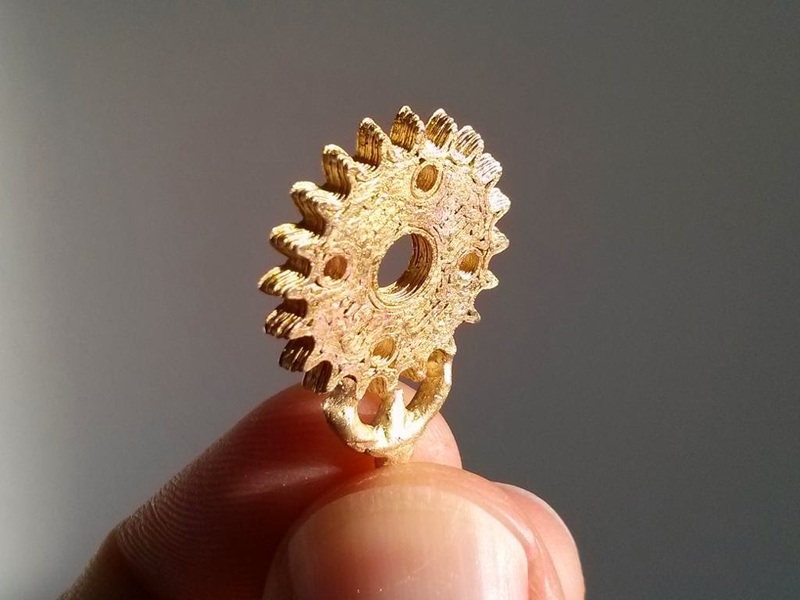 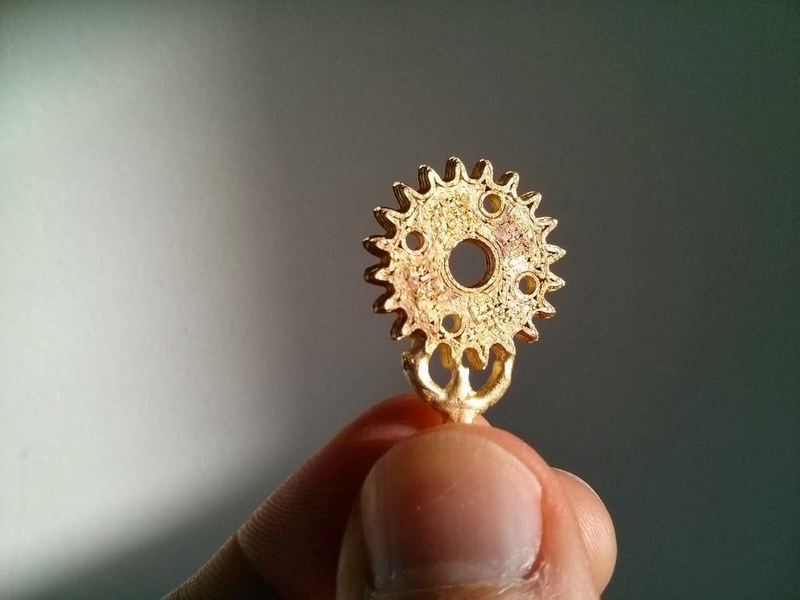 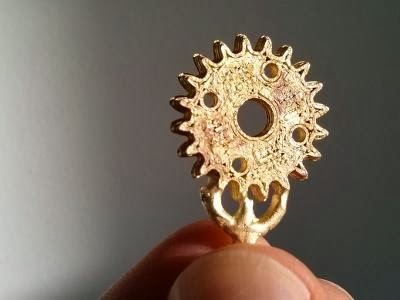 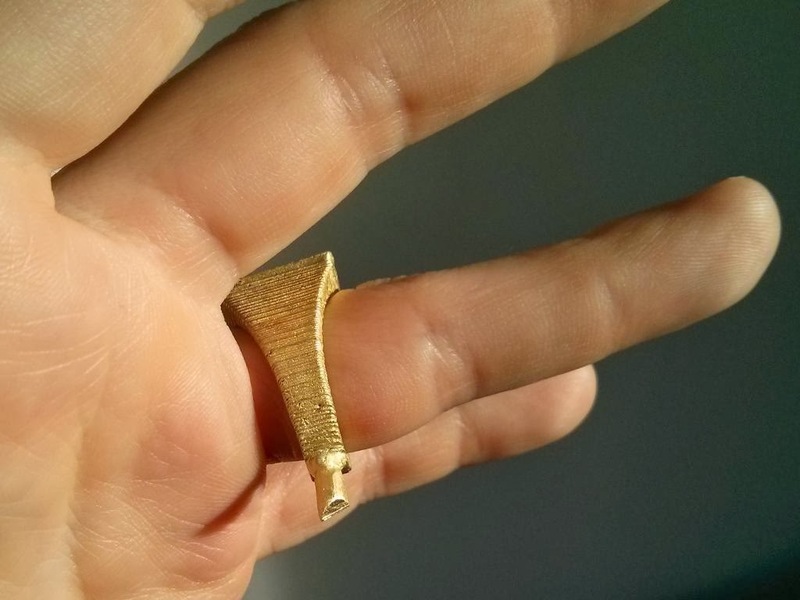 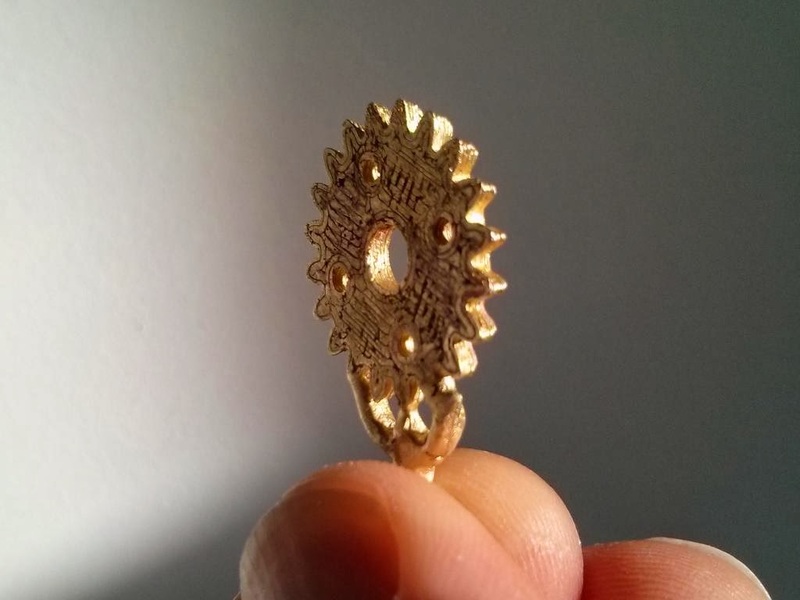 Jewerly artist Elvira Mateu, from Viruthiers, asked the people at Fundiart if they could cast from PLA printed pieces instead of the wax with the traditional lost-wax technique, and they said yes. 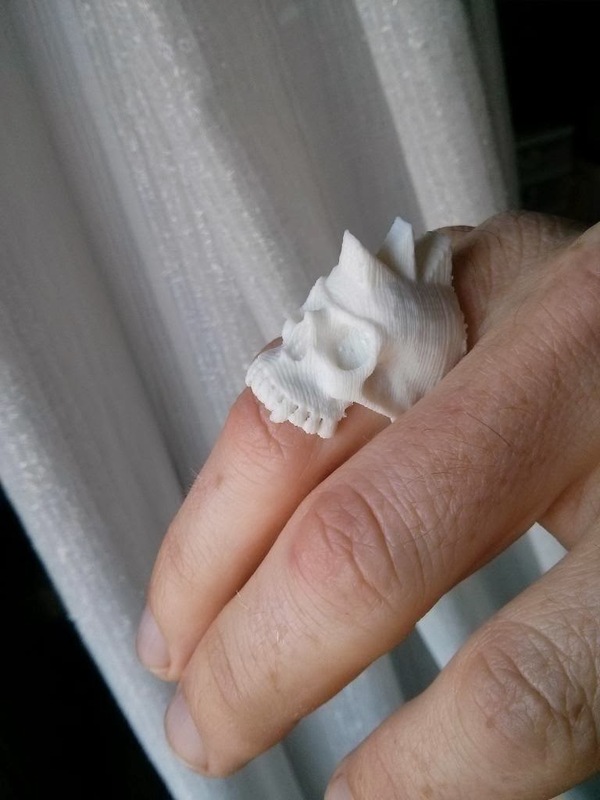 So I took some 3D printed things like a skull ring, designed for a friend, a customized Mighty RepRap Power Ring, and a custom made pinion. 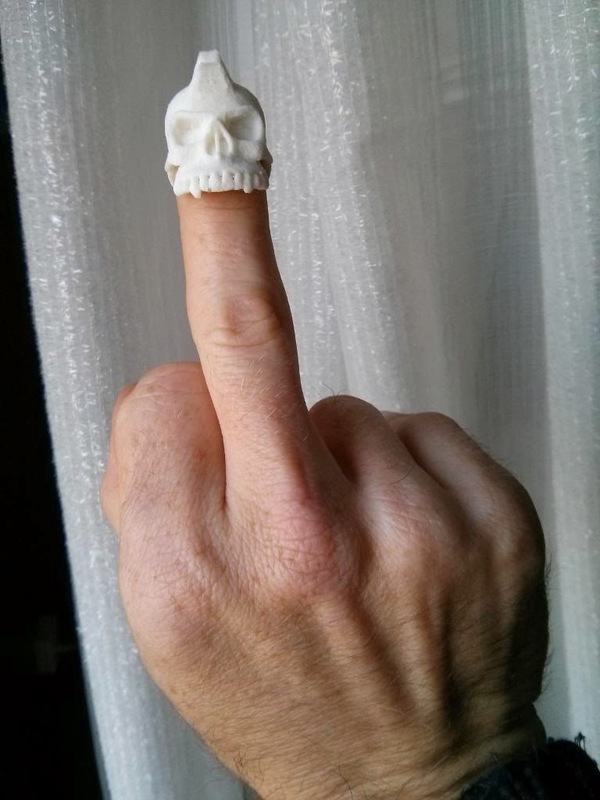 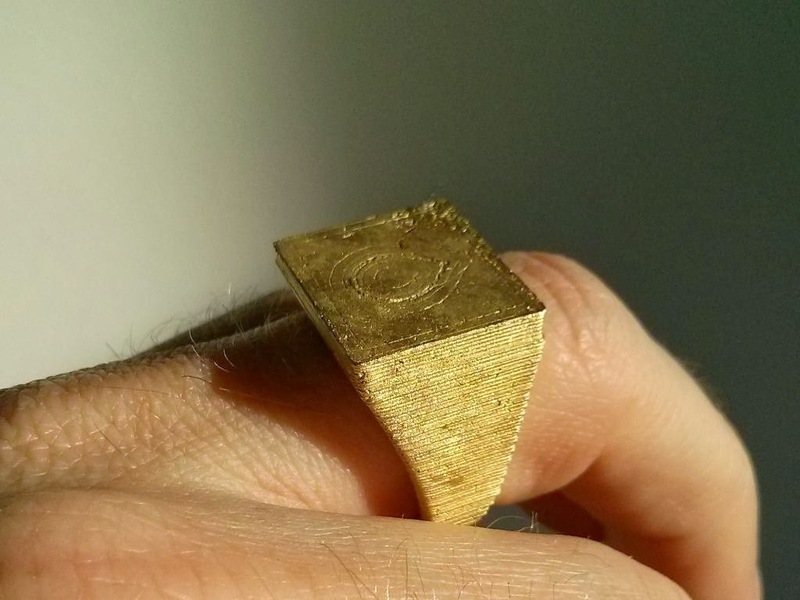 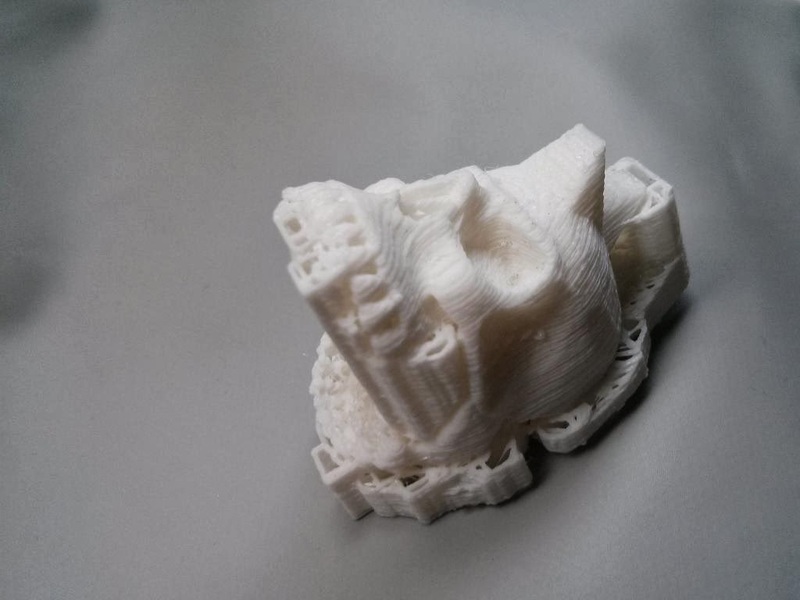 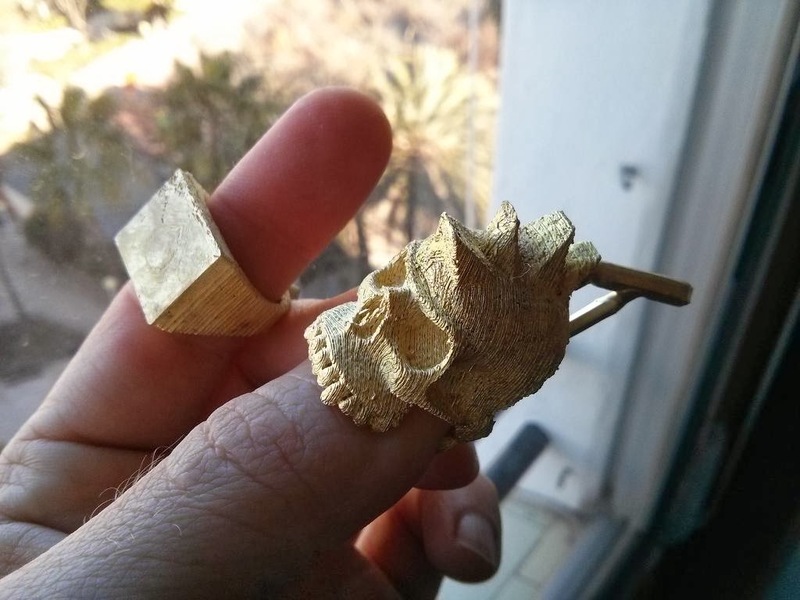 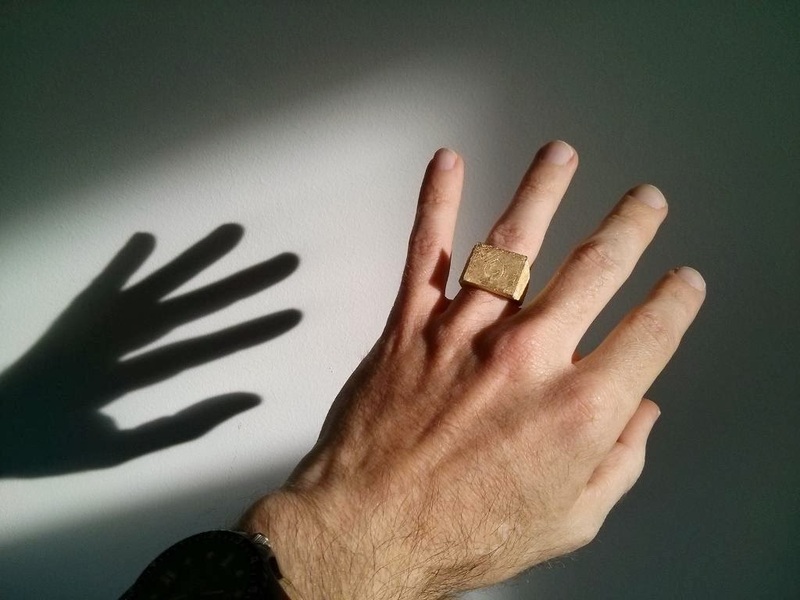 The punk skull ring just 3D printed in PLA, including the support material. 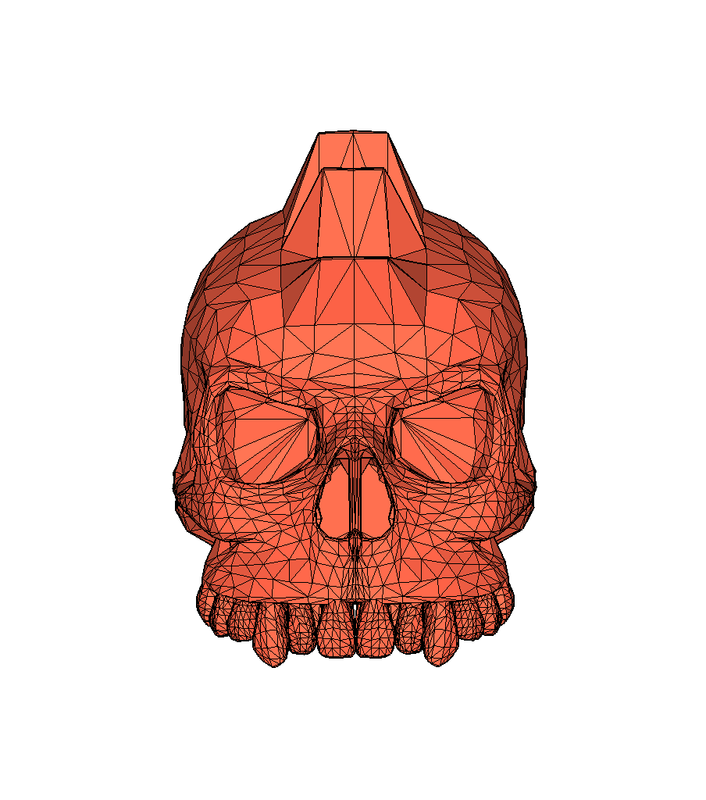 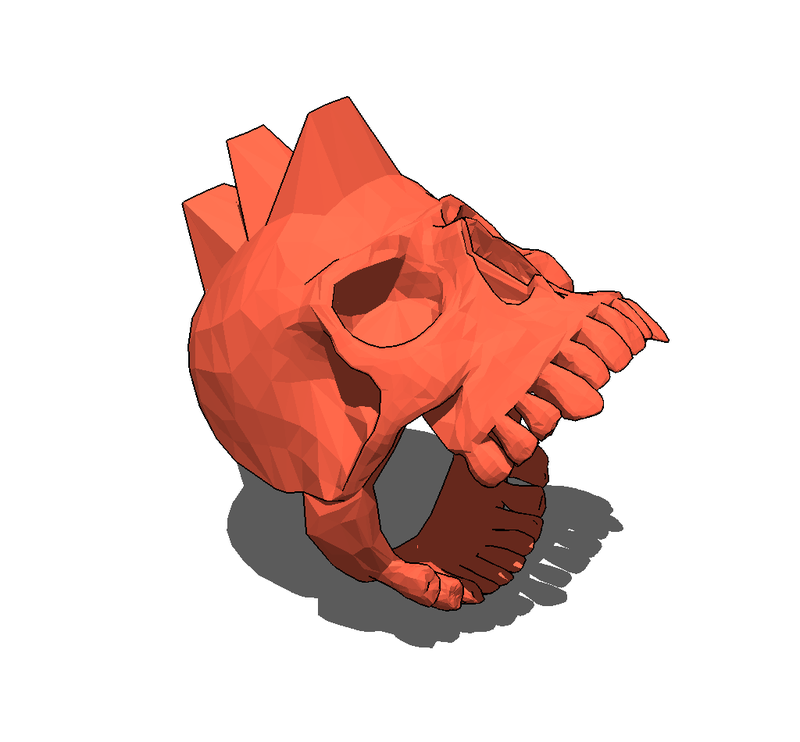 I used sketchup free version to model it in 3D, taking as initial model a human 3D skull downloaded from the warehouse.